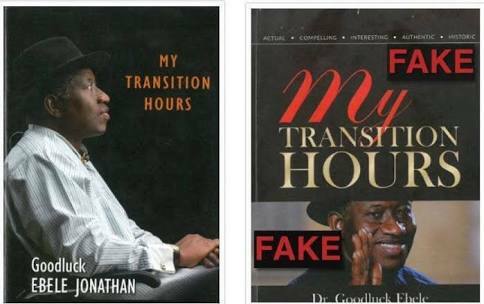 Looks like some people in the Presidency have been reading the pirated copy of President Goodluck Jonathan's book - 'My Transition Hours'. Bashir Ahmad, Personal Assistant to President Muhammadu Buhari on new media has taken to social media claiming that he regretted reading Jonathan's book because it's full of hate speech. a particular part of the country in the book. “The author entirely insulted a particular part of the country, forgetting that millions from that part supported and voted for him. Many are still standing with him," he wrote. He added that, "I regretted reading some pages of the book, as a former President, we only expected him to write something that will strengthen our unity, but in that book, H.E Goodluck Jonathan wrote otherwise. The book is full of hate speech..."